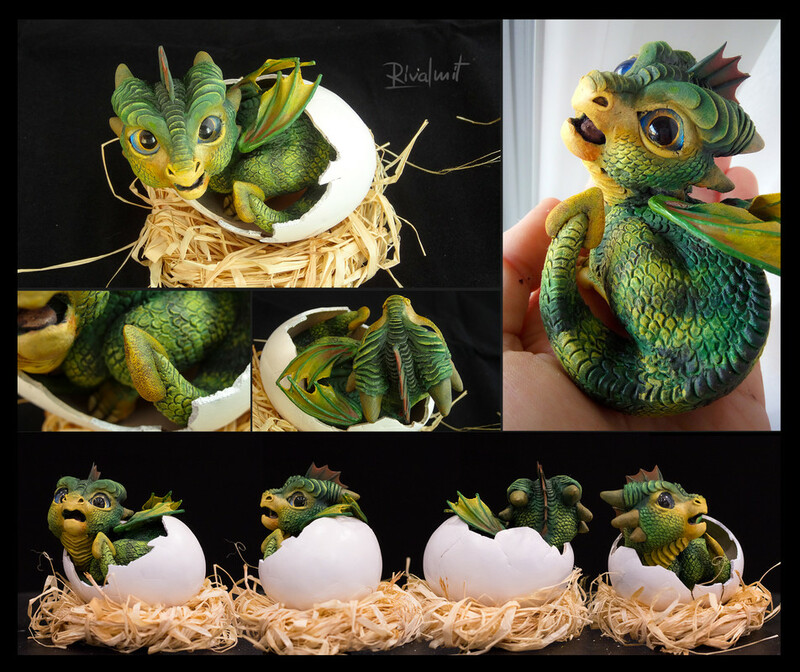 this one was one of the cutest things I ever made ^^ an adorable baby dragon just emerging in to the world. Breaking the shell was hard, life only can get easier now, right? I fell in love immediately with these!! So precious and adorable!